Tomorrow (January 23) is the second Miles in Chiles indoor track race at the University of Portland. 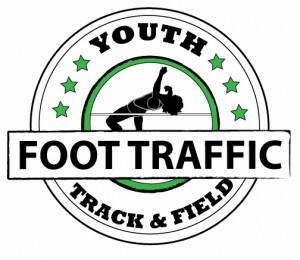 At this mini-meet, there will be a 200m, an 800m, and a mile, and each race is just $5 to run. Get more info here. 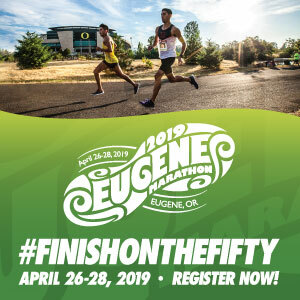 The Couples Classic will run on February 9 in Eugene. It’s a 5k that’s only $15 without the shirt or $25 with the shirt, when you sign up online ahead of time. You know we love tacos – so we love the Taco Tuesday Twilight Trot 5k Series in Eugene! Your $25 registration includes a drink and taco bar. The next race is Tuesday, Feb 5 at 6p. Remember to sign up for the Zena Road Runs! They do have a price increase on February 13, and all three of their distances are the same price ($35) – including a 15k! That is a great deal for what’s becoming a more rare distance. The Hagg Lake Mud Runs – the 25k/50k event out at Hagg Lake near Forest Grove – still has room in the Saturday 50k and Sunday 25k. (You can also run the double.) The only option that’s sold out is the Saturday 25k, but there is a waitlist to which you can add your name. Or you can sign up for the Saturday 25k AND Sunday 25k (running both) for $112. If you’re signing up for just one race, the 25k if $76, the 50k is $96. The traditional double (50k on Saturday and 25k on Sunday) is $122. One of my favorite relays is the Three Capes Marathon Relay. A team of up to 5 people run from Tillamook towards Pacific City at this low-key, beautiful and challenging 26.2-mile race. It’s on Saturday, Feb 23 and if you’re interested in joining a team but don’t have one yet, email us! I’m putting together a few teams and can fill you in. The Helvetia Half (organized once again by Run With Paula) has a price increase on February 1, so sign up by the 31st to get the best price. On the 1st, the half goes from $79 to $85, the 10k goes from $59 to $65, and the 5k goes from $39 to $45. The 2019 Helvetia Half is on Saturday, June 8 in Hillsboro.